The words of Angharad Jenkins, member of award-winning folk band, Calan, and one of those involved in Pendevig, a brand new group starring some of Wales’s leading musicians, and an exciting project pushing the boundaries of traditional Welsh music. 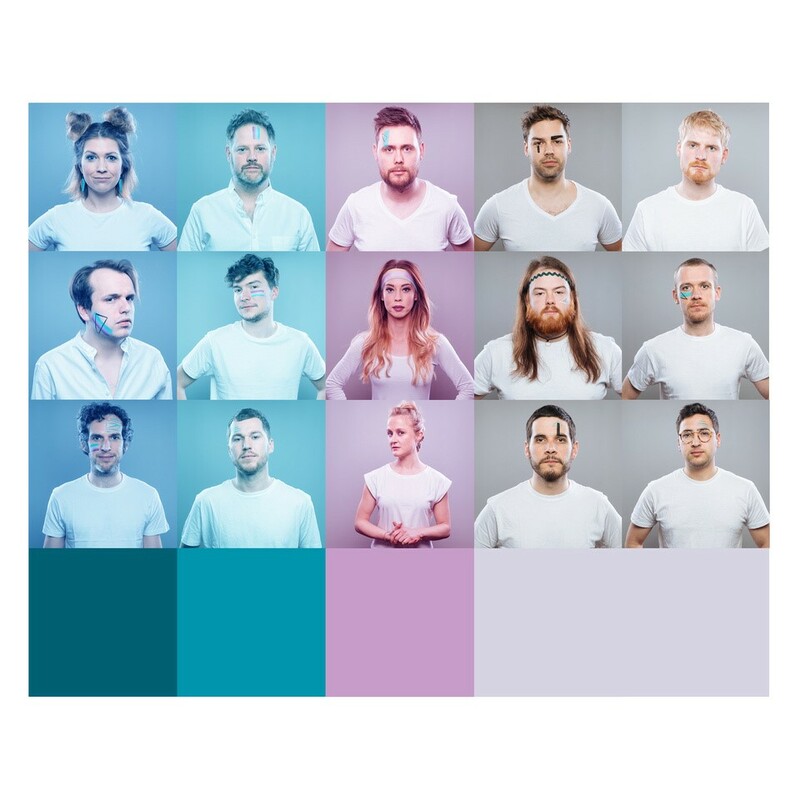 The band is preparing to release their first single, Lliw Gwyn, on Synau Pendevig, chosen as next week’s BBC Radio Cymru Track of the Week, in advance of its 25 May release date. 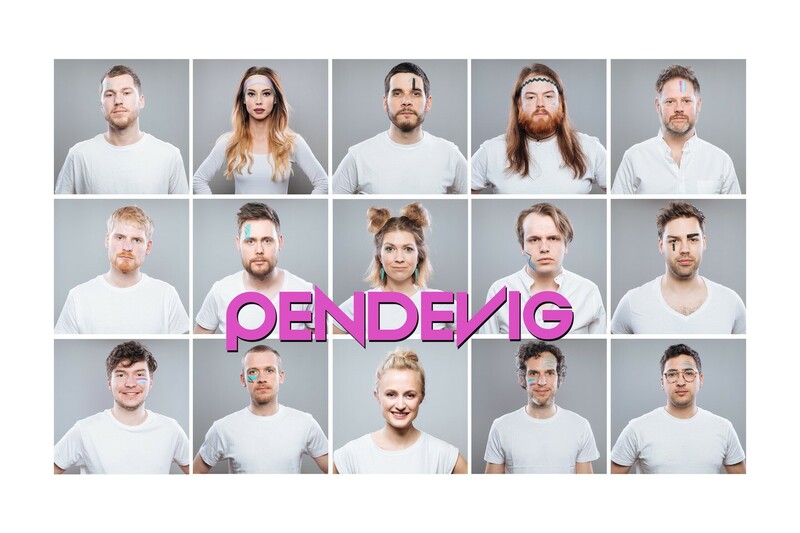 The project has been supported with funding from Arts Council of Wales, and Pendevig boasts some of the folk scene’s best musicians and performers, the band could easily be branded a ‘supergroup’. All five members of Calan are involved - Angharad Jenkins on violin, Bethan Rhiannon on vocals and the accordion, Sam Humphreys on guitar, Alice French on the harp, and Patrick Rimes on the violin, hornpipe, whistle, synths and piano. The other members are Gwilym Bowen Rhys (Plu / Bendith), Iestyn Tyne (Patrobas), Jordan Price Williams (Elfen / Vrï), Aneurin Jones (Vrï), and Jamie Smith and Iolo Wheelan (Jamie Smith’s Mabon). Injecting some funk and jazz influences to the music are Greg Sterland on tenor saxophone, Jake Durham on trombone, Ted Smith on trumpet, and Aeddan Llywelyn on double bass and electric bass. 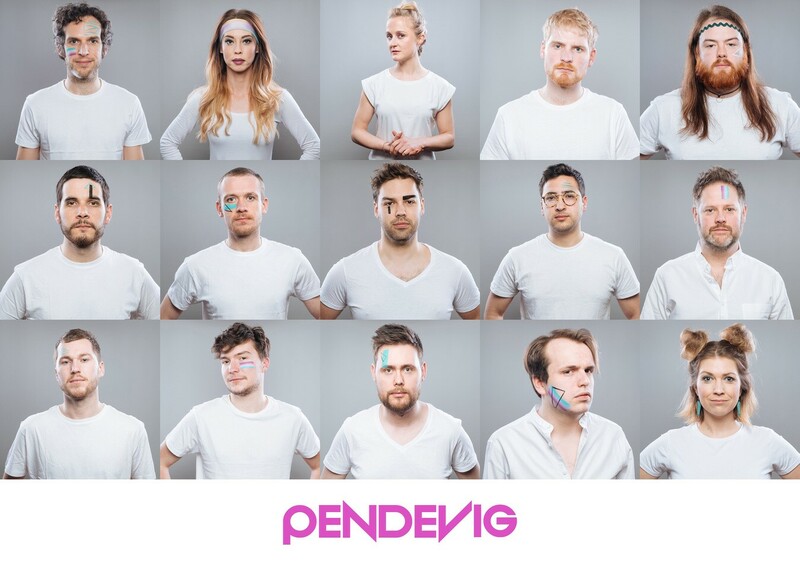 But Pendevig have their sights set further afield than Wales alone, and hope to take this new and exciting music to the world, starting with the Festival Interceltique de Lorient, in Brittany, where they’ll be performing a few days before their performance at the Eisteddfod. “I’d seen what other countries had done at the Lorient Festival in the past, The Usual Suspects when it was Scotland’s year, for example, combining jazz instrumentation with traditional folk instrumentation. And I wanted us to have a chance to explore different genres and create an unforgettable show at the festival. The project also celebrates Welsh poetry and literature with traditional and modern dance bringing another dimension to the music. “Acoustic elements coupled with epic, high energy performances add to the uniqueness of concert, and we’ll also be reviving the ancient tradition of reciting literature with a staff, but in a very different way. " The band recently recorded at the iconic Monnow Valley studios, where the likes of Led Zeppelin, Queen, Oasis, Stereophonics and Black Sabbath have created some of their finest work. So expect the unexpected – this isn’t a folk concert, but a big party celebrating the resurgence happening in Wales at the moment, bringing the success of the Tŷ Gwerin onto the Pavilion stage for one night only – Thursday 9 August at 20:00. Tickets available from www.eisteddfod.cymru / 0845 4090 800.